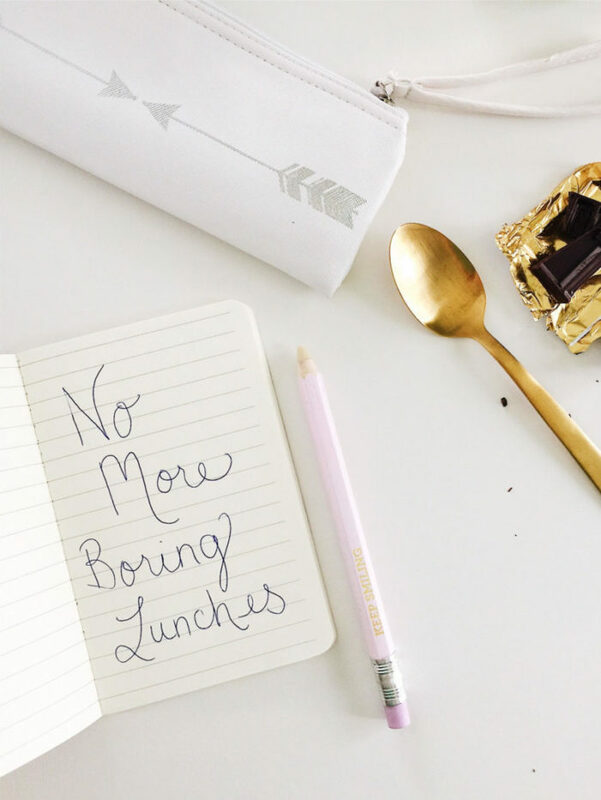 There’s nothing worse than a boring desk lunch. 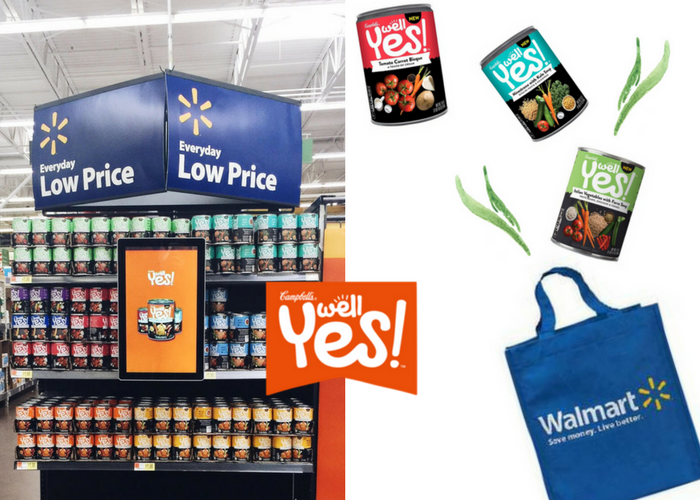 That’s why I’ve teamed up with Campbell’s Well Yes!™ Soup at Walmart to bring you 6 easy tips on how to pack the perfect work lunch, no matter how busy you are! On days I forget to prepare my lunch and am forced to rush out thedoor with only a granola bar or underripe banana in tow, I am haunted by my impending lifeless lunch all day. A lunch break is something to look forward to, especially when you have a fun and wholesome one waiting for you. There’s so many photos floating around Instagram of fun, creative lunches that parents pack for their kid’s lunchbox. 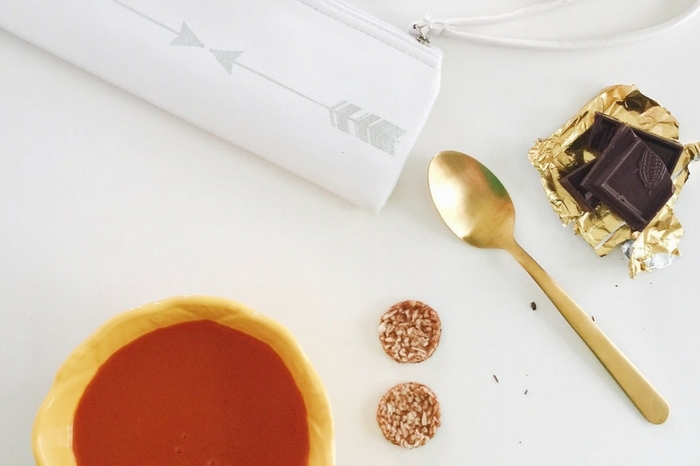 Why not channel that creativity and pack an amazing grown-up lunchbox for yourself? I’m not saying we should cut our sandwiches into dinosaur shapes, and knowing how to pack the perfect work lunch is actually easy as pie. A simple formula, a balanced meal, and preparing ahead of time can make a world of difference in your day, your productivity, and how you feel. Let’s create a balanced adult lunchbox! No one wants to (or should have to!) eat the same lunch for weeks straight. Think outside the turkey sandwich box, and mix it up. Plan to take leftovers on Monday so your Sunday night can be spent relaxing instead of prepping. Then, change up your lunches throughout the week. Here’s an example of a fun, versatile weekly menu: Monday: Leftovers. Tuesday: Your favorite protein-packed wrap. Wednesday: A seasonal and filling grain salad or simple, stacked mason jar salad. Thusday: An anything-but-boring sandwich. Friday: A fun bento-style snack box, such as a Mezze Tray with hummus, pita bread, olives, grilled eggplant, tabbouleh, and marinated artichokes. Way too busy to prep your lunch the night before, or simply just forget? Stay calm, and don’t go hungry! Keep easy, convenient, and nutritious lunch options stocked in the pantry. Keep individually-portioned bags of nuts, trail mix, or granola. Make sure the fridge is stocked with Greek yogurt and fresh fruit. And for the main event, stock up on Campbell’s Well Yes!™ Soup. 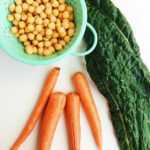 I love these soups and they’re perfect for your lunch bag for several reasons. 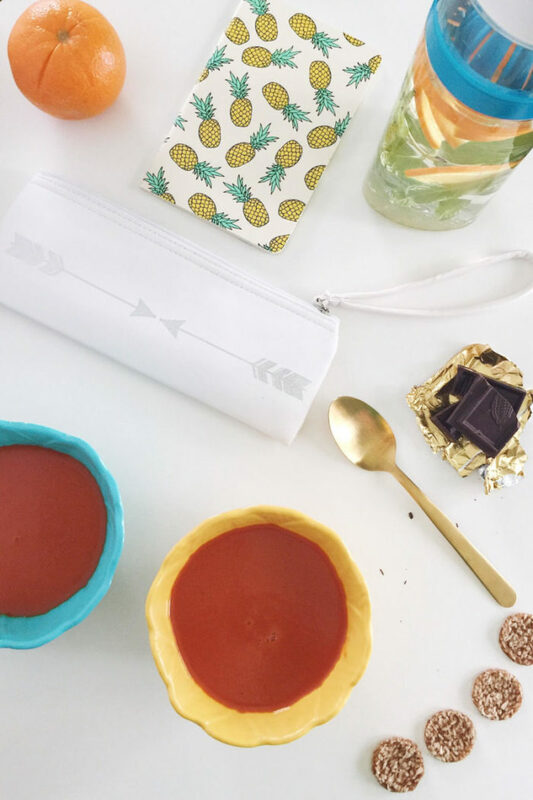 These two-serving soups include a convenient pop-top lid, no can-opener necessary. Campbell’s Well Yes!™ Soup are made from nutritious ingredients, such as quinoa, farro, and kale, and contain no artificial flavors, ingredients, or colors. 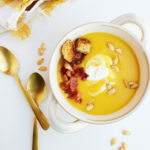 There’s plenty of fun and wholesome flavors, my favorites being Tomato Carrot Bisque, Italian Vegetable with Farro, and Sweet Potato Corn Chowder. 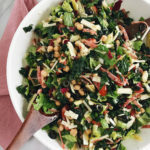 All of which contain no preservatives, non-BPA lining, a generous serving of vegetables, and are vegetarian (Italian Vegetables with Farro is vegan). 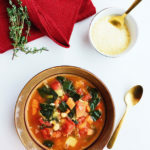 I love to pair this soup with a simple salad for a balanced and satisfying lunch! Now that’s a #WellYesMoment. Pack smart snacks to avoid getting #hangry. Having healthy snacks on hand will ensure you don’t go reaching for a not-so-healthy candy bar or vending machine fix when you need a pick-me-up. Packing protein-packed almonds, homemade energy bites, and limited-ingredient protein bars or trail mix are all great options. Staying hydrated is important! 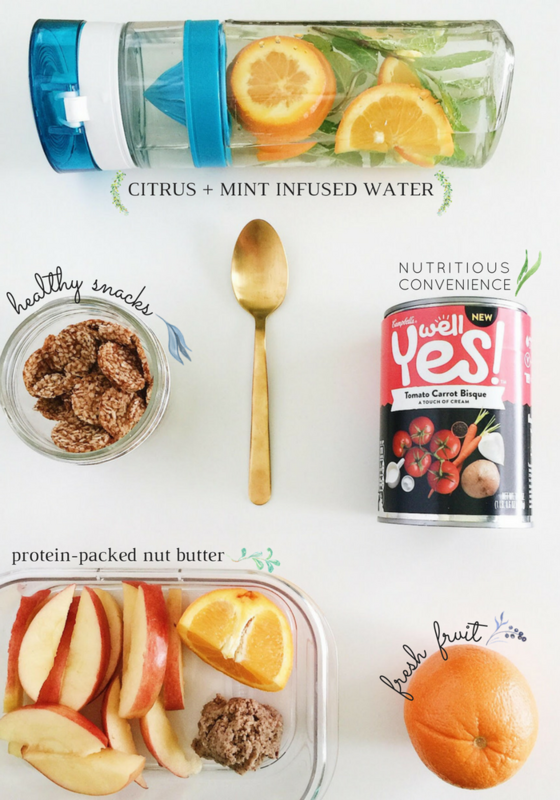 Be sure to drink water throughout your day and pack some fun drink options with your lunch. 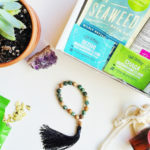 Green tea, kombucha, and fruit-infused water are all refreshing options. Some of my favorite combinations for fruit-infused water are Citrus + Mint (lemon, orange, fresh mint) and Blackberry Cucumber Mojito (fresh blackberries, cucumber slices, fresh mint, and lime). If you can, step away from your desk or work space. Take the time to recharge, reflect, and enjoy some quiet. Any meal should be a celebration and a chance to replenish your body with nutritious foods. Take a moment, take a breath, and sit outside in nature if you can (and the weather is nice!). If not, reading a good book with your lunch or practicing some mindfulness or a little bit of meditation will instantly lift your mood. Follow these tips on How to Pack the Perfect Work Lunch and you’re set for ultimate #LunchGoals! Thank you to Campbell’s for sponsoring this post. 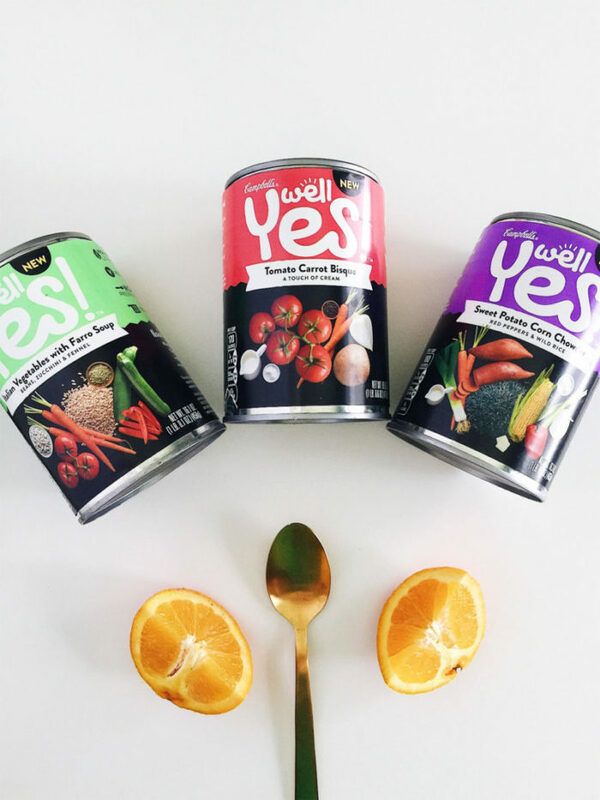 Be sure to pick up the new Campbell’s Well Yes!™ Soup at its convenient low price from Walmart. (Tip: also be on the lookout for even more savings with a Sunday paper coupon, available 2/12 & 3/12, and in-store demos 2/16-2/19). 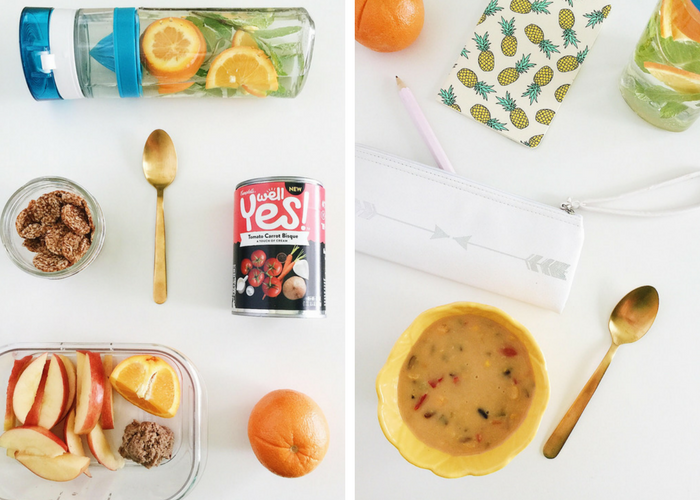 I hope that you’ve enjoyed this post on How to Pack the Perfect Work Lunch, and that you enjoy Campbell’s Well Yes!™ Soup as much as I do! This is such an awesome post. We always think about our kids lunch box and forget our own. Thank you Aish, I agree! Super tips! I work at home, but am often finding that lunch time comes and I don’t know what to do. I will put these ideas to work! My hubby will love it, too. Great tips! Everyone deserves a great and healthy lunch! Convenient healthy and filling. Triple treat of goodness. 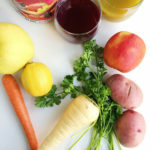 This is a great article and a good guide on how to change up my lunch routine!! !